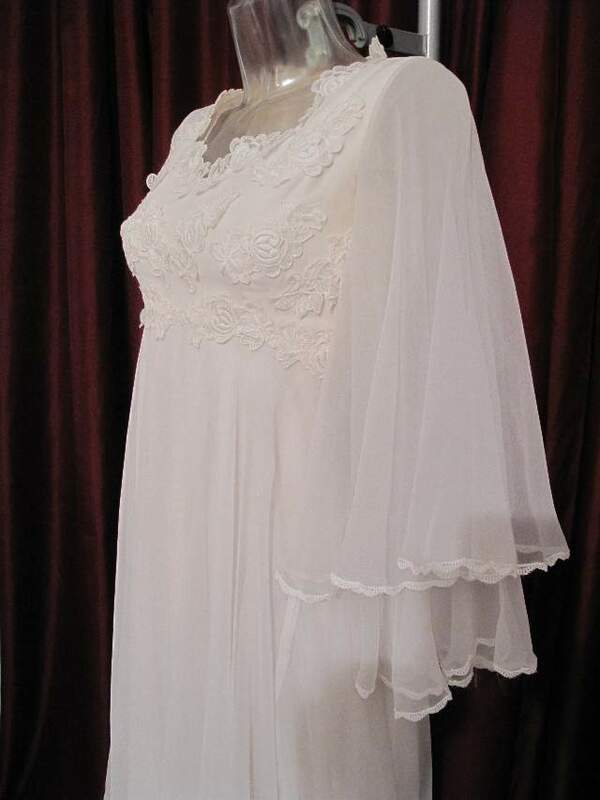 1970's White chiffon 'Angel' vintage wedding gown. The front bodice is covered with embroidered organza flower motifs, which also form the scooped neckline. 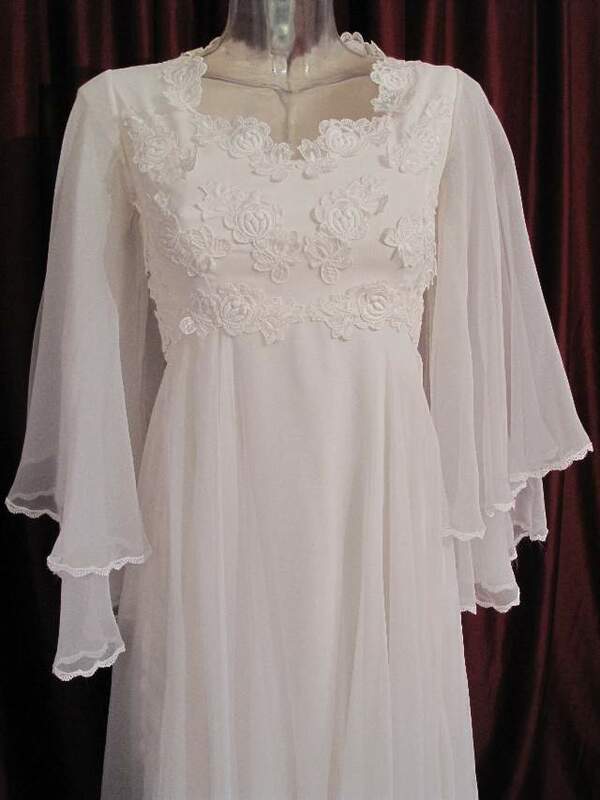 The sleeves are white chiffon, double layered, trimmed with a scalloped edge and circular cut. 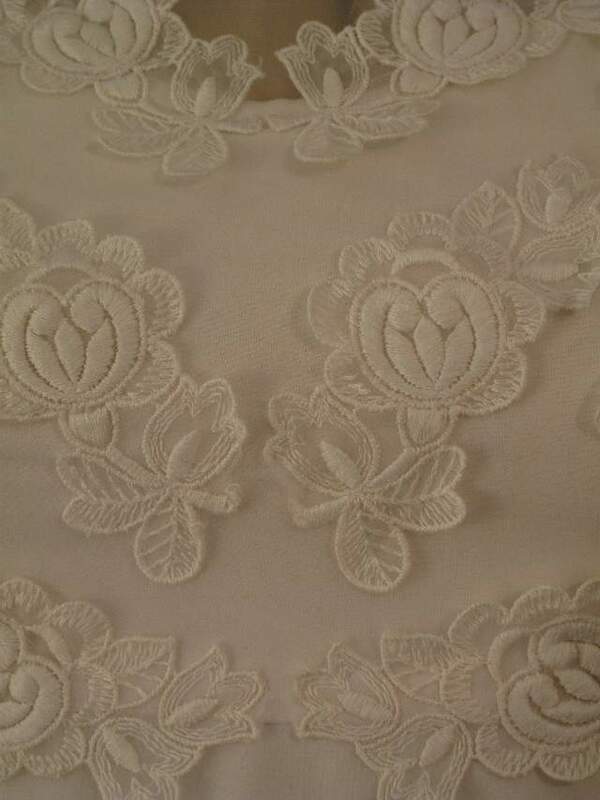 The skirt is white double layered chiffon and falls from under the bust, with scalloped edge and more flower motifs. 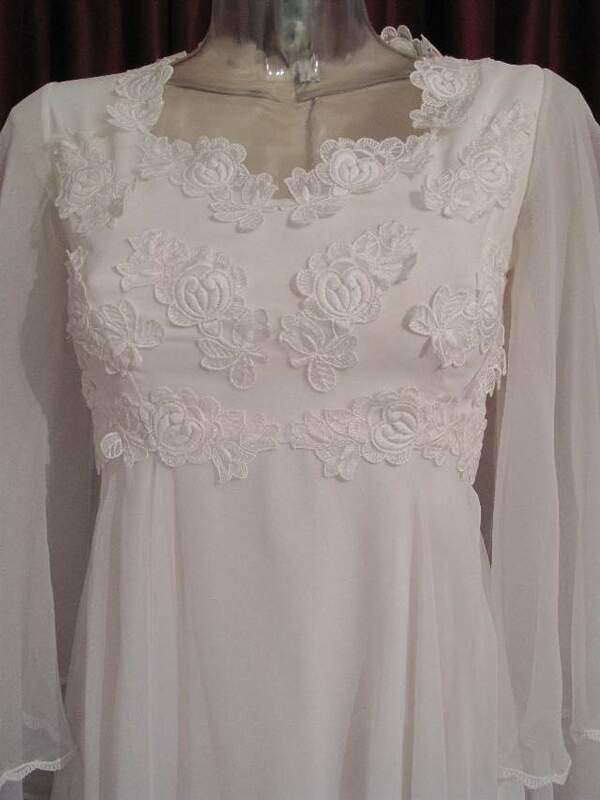 A floaty and fab dress.